I haven’t experienced bad service in awhile. Well actually I don’t really care if the service crew doesn’t engage in some cheerful banter with me, or flash me a smile. I know (firsthand) how tiring it is to interact with customers on a day to day basis. But the people at Wimbly Lu were just ridiculous. we were allocated seats right at the back though the there were empty tables in front. Yes, the cafe wasn’t operating at full capacity. It was a tiny table for three people, and our legs aren’t long but they aren’t short either! It got quite uncomfortable cuz our knees were knocking against the table legs and it felt stupid since there were spacious tables right in front. We decided to shift, but one of the crew came over and told me we couldn’t do that. I asked if the tables were reserved (because that would be a legit reason) but no. Apparently, it was because they are anticipating a crowd later so it’s better if we sit right at the back even though it was more uncomfortable. Held back the eye rolling and told her that her reasoning didn’t make sense. Why were we being discriminated against just because we were early? The poor girl hurriedly went to call her manager, who told us politely that they were expecting lots of secondary school kids because it was the school holidays. We could sit there, but they will have to shift us right to the back if the cafe became full later. That sounded more reasonable since the table could take 4 people and we were a party of 3….. until I realised that the tables next to us could also seat 4 and they were only occupied by THREE SECONDARY SCHOOL KIDS. At this point the friends were already rolling their eyes, and we were all trying not to dampen the mood because we were in the midst of a cafe hop, exam results were released the day before, and basically, we were in high spirits because it was the end of a long journey. The meringue was so badly made I don’t know where to begin. I could still feel the sugar granules inside and it was so clumpy, not silky at all. The curd was stiff and the flavour of passionfruit didn’t manage to save its sorry state. The crust was the ultimate worst. Doughy (to the point that it tasted uncooked), thick, and gross. Everything was wrong with this tart. 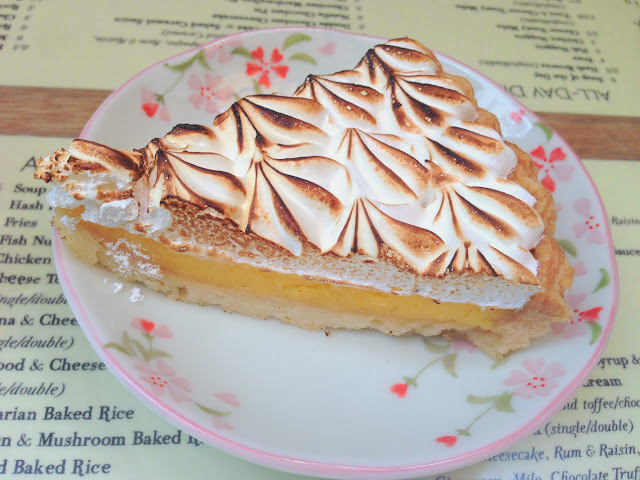 For a much better, and more professionally made version, please try Carpenter & Cook’s stellar passionfruit tart that will surely knock your socks off. 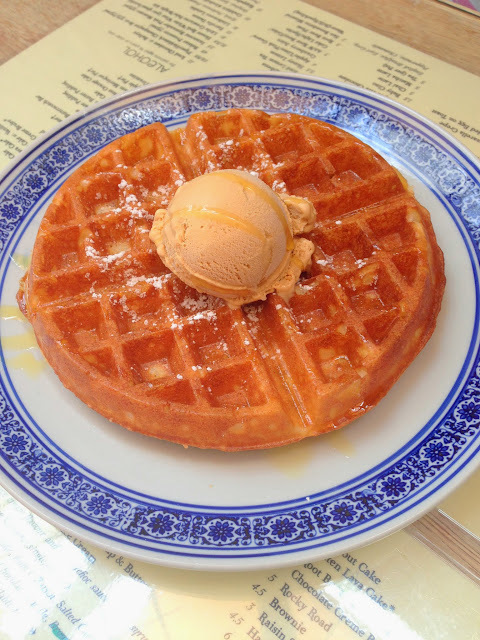 To be fair, Wimbly Lu does serve very good waffles. They mixed up our order for honey cinnamon gelato and gave us salted caramel instead but that’s okay. We were in a good mood. I think we were very nice that day about the unreasonable service we experienced actually haha. Oh and true enough, lots of secondary school kids did come into the shop much later on. But I don’t think the service staff dared to touch us. Maybe they reviewed their hilariously flawed, and inconsistent reasoning and realised their folly.